Yet, there is one family which is spoken of with respect by every Macedonian in Detroit. We had the opportunity to meet these wonderful people from Prespa, Risto and Dobrila Nechovski, in person. Even moreso because Risto comes from Slivnitsa, and Dobrila comes from Kriveni. We wanted to find out what makes these people special? It was most probably their simplicity in manner, successful work, hospitality, and their devotion to the Macedonian aims. They speak of Macedonia with affection, as they remember it from their childhood dreams. They speak with concern for the present situation in Macedonia. They extend their hopes that Macedonia will overcome these problems successfully. They believe that one day in the near future their fatherland will be ready to take back its people, to provide opportunities for investment for them, for purchasing of houses, flats, starting businesses, i.e. to enable them to invest their capital in their homeland, to offer them a legal system that functions, urbanised suburbs, and finally a peaceful old age. We visited them and spoke to them at their restaurant, “Tri braka” (Three Brothers) in Plymous, where they have worked for six years. “Three Brothers,” an unusual name. “Yes,” Risto Nechovski would say. This is how the story of the Nechovski family from Slivnitsa begins. For a moment I think to myself that this is America too, and it carries the age-old desire for retaining the authenticity of the fatherland, of maintaining family ties, of all being as one. This is a story that will remind you of many other similar ones. In their desire to be close to Macedonia in Detroit, Risto and Dobrila Nechovski unselfishly gave a large part of what they had saved working in their restaurant, i.e. about a hundred thousand dollars, for the construction of the new church of “Sv. Bogorodica” (Mother of God.) By doing this they help Macedonian self recognition in America. An example to be admired. Otherwise, Risto Nechovski was vice president of the church management last year, and continues to be this year. Migrating to America: who started first? “My uncle Naum came to America first, in 1955, only two weeks after I was born. He helped my family a lot. He sent us parcels of clothes, food, nice things we did not have in Macedonia then, which made us very happy and excited. You know, we could not live without our family,” Risto says. “So it happened that in 1967 my father, Cvetko, came to America, Ohio more precisely, where my uncle was. Later, in 1968 he moved to Detroit, where we live now. My mother, Nikolina, my brother, Dimche, and I arrived the following year, in 1969. I was 13 years old then. I went to school to learn English. After that we all devoted ourselves to our father’s restaurant. We worked in it for 12 years, and then bought a bigger one. That is when things began moving. Now, as I said, we have three restaurants. One for each brother. Nevertheless, we still live as one family. Risto and Dobrila Nechovski have been married for 23 years. They have two children, Sylvia, 22, and Christopher, 20 years old. 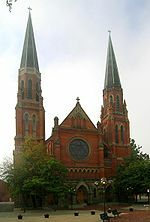 They met in Detroit, where Dobrila had moved with her family. Their mutual understanding, respect and family devotion is evident as soon as one meets these people. At encounters such as this, one cannot avoid the question of how one experiences Macedonia when one is far from it. To this Risto will smile and say: “Macedonia draws you like a birth place does. We have been there three times so far. The first time was in 1984, then in 1996, and last year. It is nice to spend your holiday there. One feels a kind of easiness when there. Everything is ours, it is beautiful, and it is attractive. I do not know why pensioners do not go home more often. I want to tell them that they miss out on the chance to breathe clean air, to return to their youth, to live longer by enjoying our magnificent fatherland scenery. Really, there is no place like home. 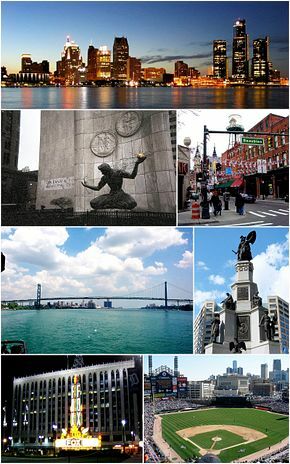 I found that all the Macedonians in Detroit wish for a prosperous and successful Macedonia. The fatherland must feel different when you are not in it. This is why it is high time that we build these hopes and wishes into the future of Macedonia, which only need a little resourcefulness in the political and commercial ambiance of the country, and they can easily be accomplished. It is what Macedonia needs.